Game farming is the domestication and commercial marketing of native and non-native wildlife for a variety of products, (including meat, hides, feathers, and antlers) or for paid hunting. It is an industry designed to privatise and domesticate wild animals, to own and raise them for profit. In the case of Australia, Game Farming has a more ecological role to play. Instead of culling feral animals for pet food or to leave them to rot in the desert, Terraforming Earth is providing to its clients the capability to domesticate the feral animals on their properties in a way that enhances the overall land management and productivity of these properties. Feral camel are abundant in the area Terraforming Earth's clients are located in the Australian outback. 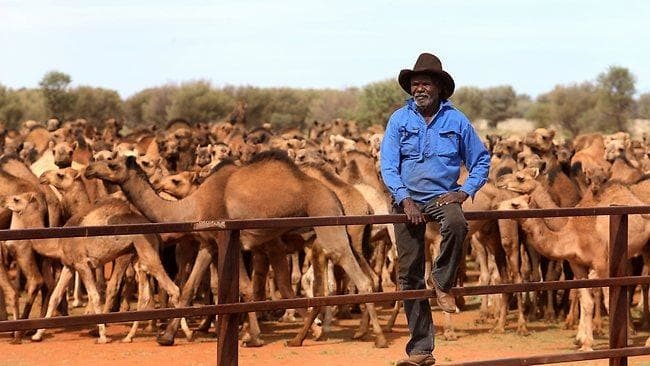 TE is providing its clients with feral camel domestication, herd development and well as the entire value chain for exporting camel related products such as meat for food, skins for leather and blood and bone for fertiliser production. Geofencing is a location-based service that uses GPS, to determine the location of the device that is being tracked. The location of the device being tracked is compared against a virtual geographic boundary usually created on a map within the geofence app. When the device being tracked crosses the geofence boundary it triggers an event defined by the app. The event may be to send a notification or perform a function such as turn on an alarm on the geo-tag. Goats arrived in Australia with the First Fleet in 1788. They were a convenient livestock animal for early European settlers, being relatively small, eating a wide range of plants and providing both meat and milk. The present feral goat populations are descendants from animals introduced for a variety of reasons since 1788. During the 19th Century, sailors released many goats onto islands and the mainland for emergency food supplies. Feral goats are most common on rocky or hilly country in the semi-arid rangelands. These areas provide security from predators and disturbance by humans. Goats are not normally found on flat treeless plains, but can be found on flat country with dense shrub cover. Favourable habitat requires availability of shelter, surface water and an abundance of preferred food species. Large numbers of goats do not occur in areas where dingoes are abundant. Donkeys were brought to Australia by the British in the latter half of the nineteenth century as they colonised the land in their search for land and minerals. 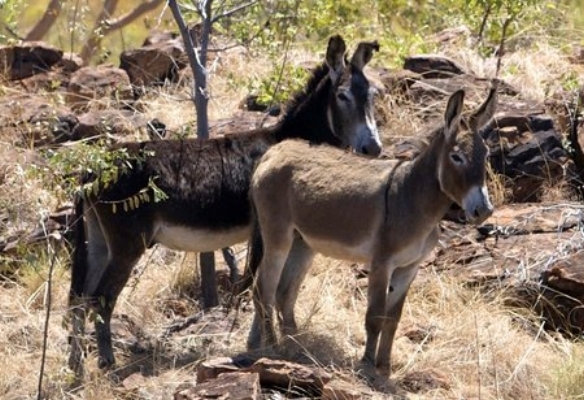 Great teams of donkeys hauled goods across the outback and were instrumental in the success of the vast pastoral stations in some of the harshest areas of the continent. However, with the advent of motorised transport in the 1930s, they were no longer economically viable and were set free to fend for themselves. Feral donkeys are a serious threat to the natural environment. They can increase erosion of soil and waterways, spread weeds, trample native vegetation, eat native seedlings, cause sedimentation of water bodies, destroy infrastructure and compete with native species and domestic cattle for resources. Australia has an estimated 400 000 feral horses, mainly in central and northern Australia. They produce one to two foals each year, so their numbers increase quickly in the wild. In the Northern Territory (NT), wild horses are found in large numbers to the west of Alice Springs, in the Gulf region, in the Victoria River District and to the south of Darwin as far as Katherine. They are said to cause erosion, spread weeds and compete for pasture with native animals and livestock. Feral horses pose a particularly complex management problem because they can have economic and cultural value, and debate continues about the best way to manage their populations in Australia.